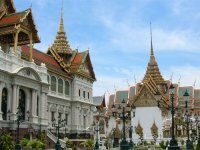 Located in the center of Southeast Asia, Thailand is truly at the heart of the region. The geography of Thailand features many natural borders with neighboring countries. 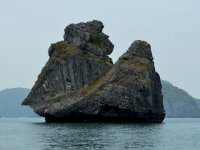 It has a mountainous border with Myanmar (Burma) to the north and west; a long stretch of the Mekong River separating Thailand from Laos to the north and east; and the Mekong River and the Dongrak Mountains delineating the border to Cambodia in the east. 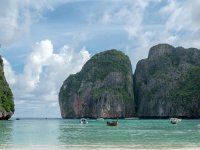 Thailand offers very diverse attractions which include scuba diving sites, sandy beaches, tropical islands, a vibrant night-life, archaeological treasures, museums, hill tribes, rich flora and bird life, royal palaces, a great number of magnificent Buddhist temples and several UNESCO World Heritage sites. For any travelers that go to Asia, Thailand draws the greatest fascination. The Buddhist religion, Thai cooking classes, and traditional Thai massages are popular interests of travelers. Thai cuisine has become famous worldwide with its enthusiastic use of fresh herbs and spices. The Thai national festivals range from the fun-for-all water splashing Songkran to the almost fairytale like quality of Loy Krathong. This year Thailand was named the number 1 tourist destination according to Time Magazine.